I have a brand new, in the box, never spooled, only touched to take this photo Shimano Curado 200E7 fishing reel up for sale. Retail is $197 driveout. 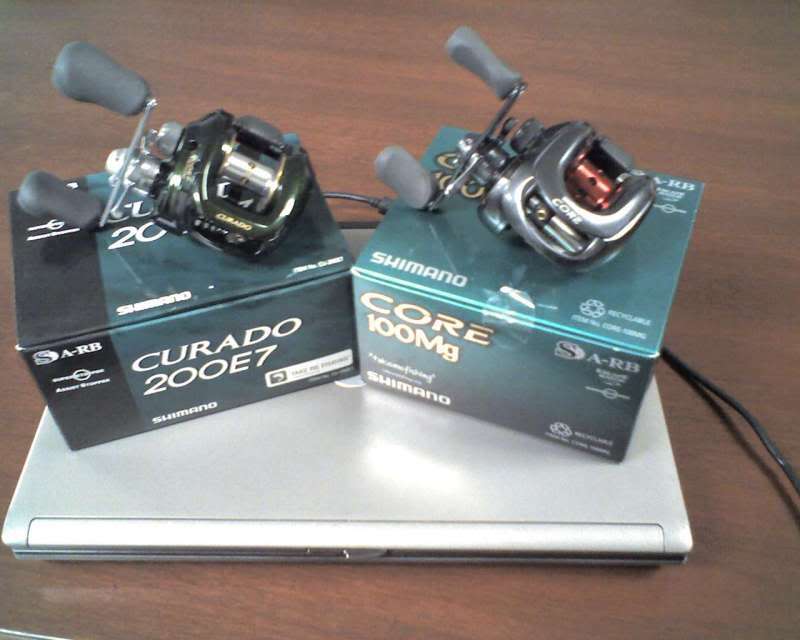 Same story on the Shimano Core 100mg. Only taken out of the box for this picture. This reel is unbelievable. Retail is $378 driveout. fishing? who does that any more?